Bullying is an English word used to describe acts of physical or psychological intentional and repeated violence committed by an individual or group of individuals causing pain and anguish and running within an unequal power relationship. 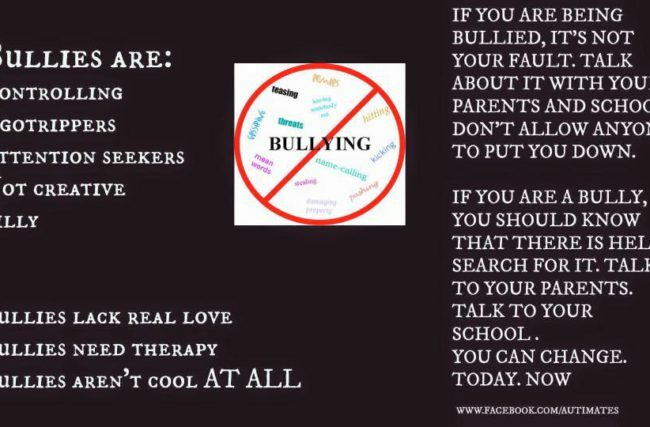 Bullying is a worldwide problem and physical aggression or moral repetitive leaves marks for the rest of life in the affected person. The attacker inferior and imposes on the other, in an attempt to overcome it in physical and psychological terms and to satisfy his ego. Almost always, it does not have the support of a good education, with appropriate advice and protections, and this is what most encourages the bully to do what he does. The victim is someone afraid of the possible consequences of a reaction, and that is why she does not react, repressing herself. Despite the recent rebound, the act of humiliating the other is not a current phenomenon; bullying has always existed because it is an expression of human nature. The digital age, however, provided an immediate knowledge of bullying situations. Photos and videos are shared on the Internet, trivializing the cowardly action. In fact, this act reflects the worst that exists in the human being: the contempt for others, the unhealthy compulsion to hurt the other. Research indicates that the bully’s personality is authoritarian and need to control or dominate. Moreover, the bully is deficient in social skills, biased point of view. Contrary to what many think, there is no scientific evidence bullies suffer from low self-esteem. Supposedly the bully is a person of bad character, rude or with a distorted personality, needing therapeutic help. However, his victims often develop low self-esteem because of physical and or psychological persecution. According to the Society UK National Autistic (The National Autistic Society UK), over 40% of autistic children and young people suffer bullying, especially in schools. These findings have a devastating impact on the autistic child and its family. The consequences for autistic children are, among others, low self-esteem, low academic productivity, and extreme anxiety. Some end up leaving school permanently. Two out of five children with autism suffer bullying at school. Children with Asperger’s or HFA (High Functioning Autism), studies show three out of five. In fact, 90% of parents of children Asperger say their children have been bullied at some point. Boys are more attacked than girls, with a margin of respectively 42% for boys and 36% for girls. Children with autism are more vulnerable to bullying by the nature of their condition. 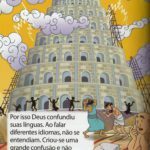 The difficulties are poor social skills, lack of eye contact and non-verbal language in general, or little understanding of figurative speech. It all makes anthem become an easy target for bullies. Moreover, there are cases of bullying where autistic people do not realize they are victims. For example, when the bully appears to be a friend or behaves overly friendly (ironic and sarcastic), the autistic child might believe that kindness is sincere, becoming a victim without realizing the real intentions of that “friend.” Autistic could be harmed, moreover, by erroneously learning how friendships work. The bully can use the victim as an accomplice in his misdeeds, as the autistic assumes that his “friend” is in need of your help, following him in his wickedness, innocently. – Talk to your child. – Ask direct questions, especially if there are signs the child may be a victim of bullying. – Consult the school board on any Anti-Bullying programs. Every school should have an action protocol. If not, meet with other parents and together require the school to take the appropriate action. – Teach your child how to respond to bullying, as well as to prevent it. Bullying has a great impact on the family. The autistic siblings may also be victims of bullying due to limitations of autistic brother or sister. Autistic parents often need to take the child from school due to the physical and mental impact of bullying. Some parents even have to stop working because of it. There are thousands of stories similar to these, which must end. How? If the bullying is recurrent, it is no exaggeration that the school takes measures to eliminate it. 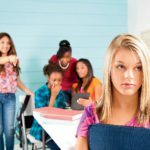 All schools should adopt anti-bullying protocols without exception. As autism is a different condition, teachers, and other school workers (monitors, assistants, etc.) should be aware of what it is, first. A teaching assistant should be able to teach assertiveness and other strategies to autistic students, helping them to identify bullying situations through simulation (“role-playing”) and extra attention. All schools should also have at least one particular room, supervised by a coordinator, where autistic students could remain during the times when they can not handle a situation. This location could even function as a lunchroom, too. The anti-bullying measures should be explicit and effective, making it clear that there will be no toleration to bullying. All parents should know of eventual bullying at school. 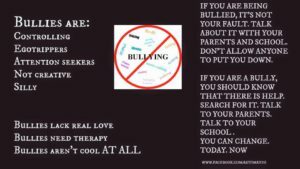 They should talk about it at home, to enroll their children and let them know that any bullying act will be properly directed – analyzed and addressed. Shall appear as the role of parents, teachers and all who work in school. Also, it is necessary to define what the school considers as bullying and the measures to be taken to avoid it, step by step. In the process, children with autism should be consulted and be involved in the definition (or review) of the anti-bullying measures. Autistics form an excellent source of information in this type of school violence. Every classroom should have a mentor. This person should know each student and work as a catalyst to their problems at school. This mentor must know the basics of autism and have had prior knowledge (via parent) of how it manifests individually to each autistic student. The counselor will help the child to report its problem and find solutions. This adult will be the intermediary between the student (parents) and the school board. Among other tasks, this person should teach the victim how to bypass the bullying situation in the best possible way. The Friends Circle involves, first, the cooperation of neurotypicals students. These will form a small group that will assist teachers in monitoring the autistic student’s behavior if the or she does not have friends at school; if he or she has been being bullied or isolated, etc. For example, an autistic child obsessed with a particular book. The teacher must ask him all the time to close that book. The circle of friends would take turns in supervising. Colleagues remind the other child to close the book, they raise a thumb to him (nonverbal message) when all goes well (positive reinforcement); they take care of him at recess; they talk to him and refer to the teacher – or counselor – when there’s a problem. A buddy will be there to help the child with special needs. The colleague who sympathizes with autism can be a sort of “guide,” intervening when necessary. It seems like the job the circle of friends does. The buddy is the one who agrees to monitor and assist the behavior of the child in need of more aid. The buddy defends the autistic child from the bullies; he is a companion who will be there to guide his friend throughout the school year. Note: Teachers and counselors have to be able to identify a good buddy, children / young people with a very high level of empathy, ready to act as such companions. In 2013, one in fifty children of school age was diagnosed with a form of autism. There is a more current survey (2015), but it is almost certain that the prevalence has increased. Thus, it is quite right to assume that there is more than one autistic child (diagnosed) in each classroom. It is the duty of every community to inform its citizens about autism and other conditions in which children may need extra help. Schools, too. Not only adults but also other students should be aware of what autism is and what it means in concrete terms. 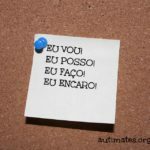 The pedagogical counselor at school should instruct all neurotypical students about autism, its various manifestations and, especially, the possibilities of these children. By emphasizing their talents – and not their limitations – the school creates an environment conducive to inclusion and bullying prevention. The measures described above are simple, requiring mostly some effort and goodwill. They will benefit not only autistic children but all of them. A well-structured school has a competent management that includes innovative measures, such as Autism Awareness and Anti-Bullying programs. Actions of bullying based on disabilities are a message that should fit the core of all ethics and any educational establishment. The School is a terrifying place for autistic children. It’s time to change that. It’s time to make possible that schools, in fact, educate people. 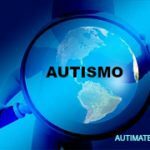 *Fatima Kwant is the author of texts about Autism Spectrum Differences and creator of the International Project Autimates – Overcoming Prejudice with information. 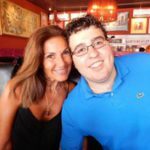 Journalist; Autism & Communication Specialist; Autism & Development Specialist; mother of a 19 years old young man, formerly severely autistic, since 2011 high functioning.